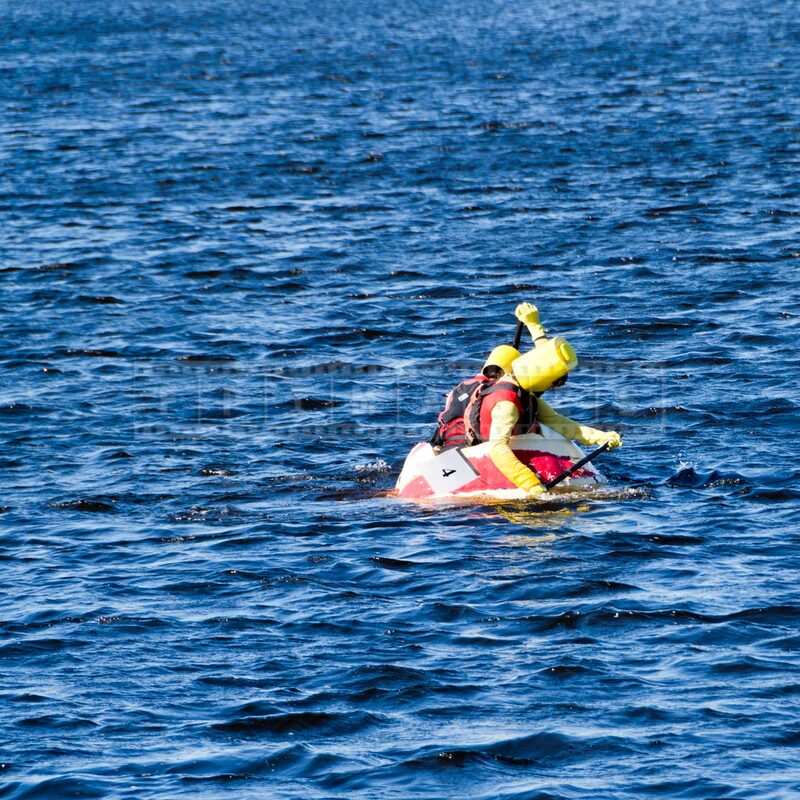 Two person pumpkin watercraft crew dressed as Lego people. 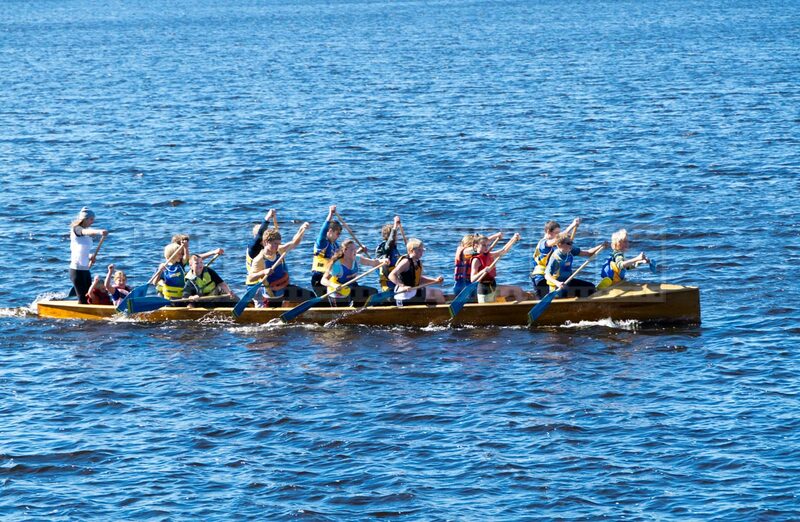 After you enjoyed pumpkin parade, walked around Haliburton House estate and had lunch now will be the time for the highlight of the day – giant pumpkin regatta. 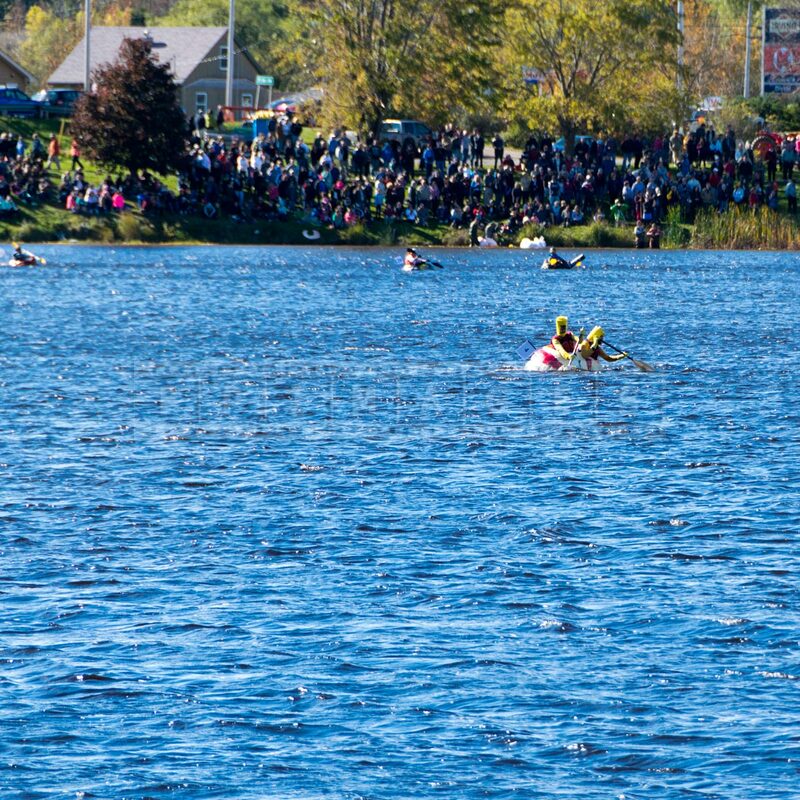 The race takes place every year in early October at the Pisiquid lake in Windsor, NS. More details can be found at the Tourism Nova Scotia site. The race starts at around 2pm. There are many spots where to watch it from. 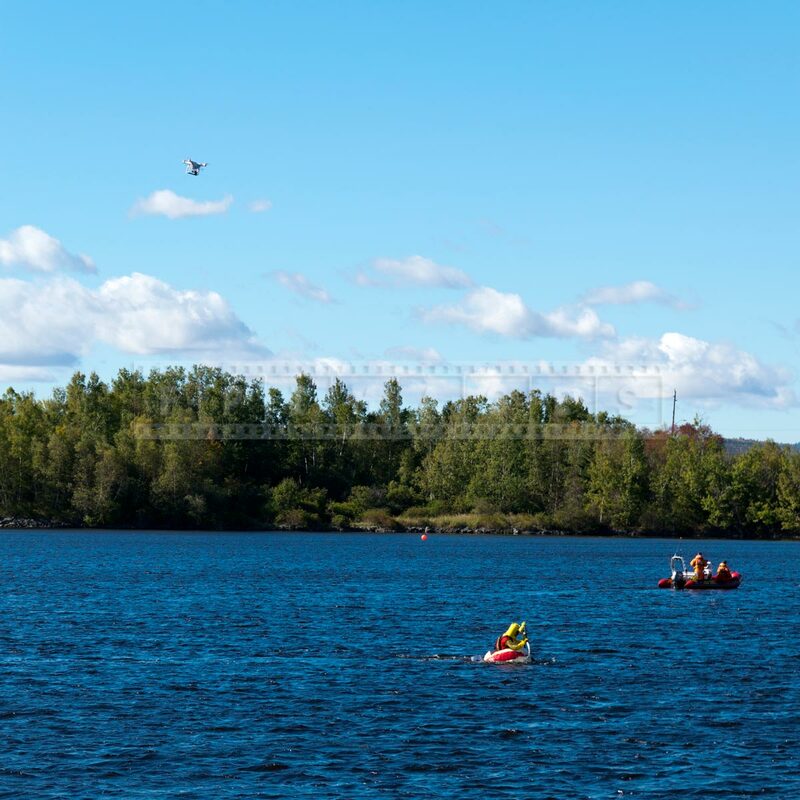 The shores of the lake can accommodate many visitors and it is easy to find free parking anywhere in the streets of this small charming Nova Scotia town. Large war canoe with fifteen paddlers is a unique Canadian tradition and what a great way to open the pumpkin boat race. 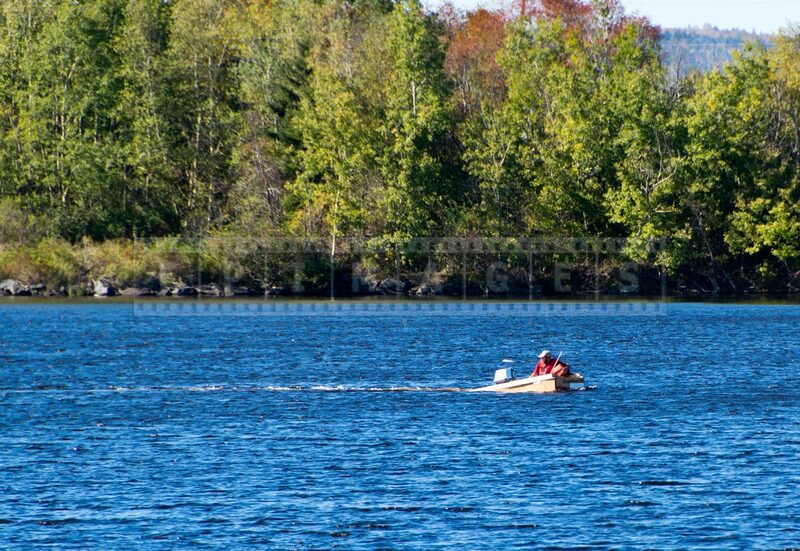 The pumpkin crews have to paddle from the beach opposite to the Windsor lakefront and reach a landing by the Tim Hortons coffee shop. 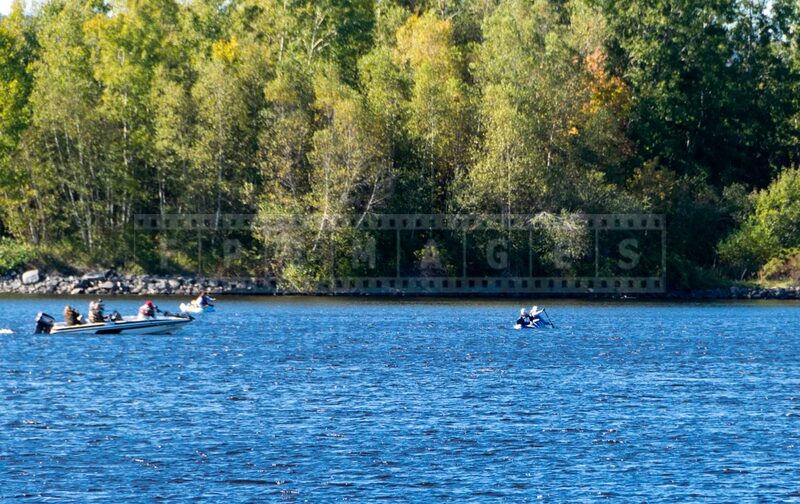 The total distance to race is about 600-700 yards depending on the direction that the pumpkin boat crew chooses. Recently a new class of pumpkin has been added that allows the use of outboard motors. 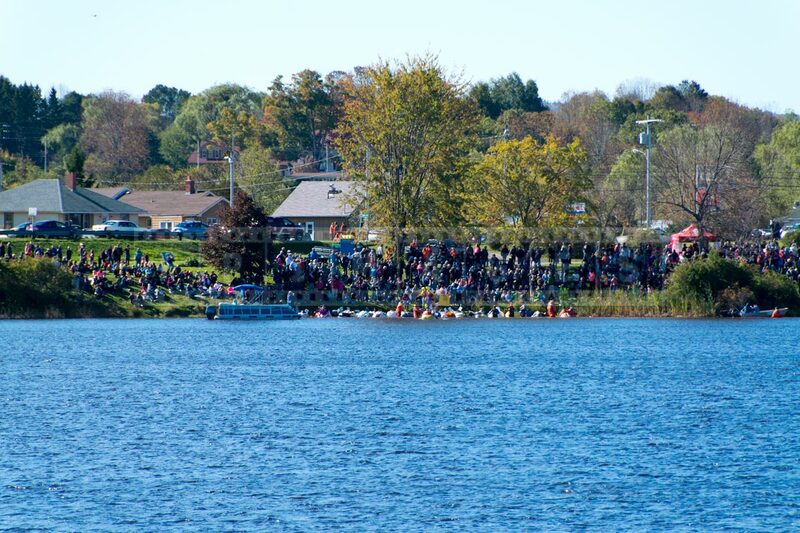 Windsor pumpkin regatta is very special event in Nova Scotia and in all of Canada. This race is fun for the whole family. The area has lots of attractions and a road trip from Halifax will be memorable and full of new and exciting experiences. 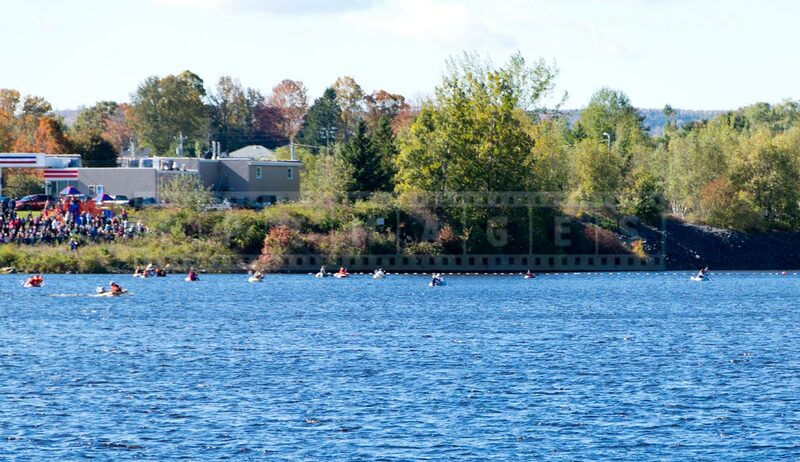 The pumpkin regatta is about to start, all pumpkin boats are lined up opposite to Windsor waterfront. Right after the start the fastest pumpkin ships lead the race. 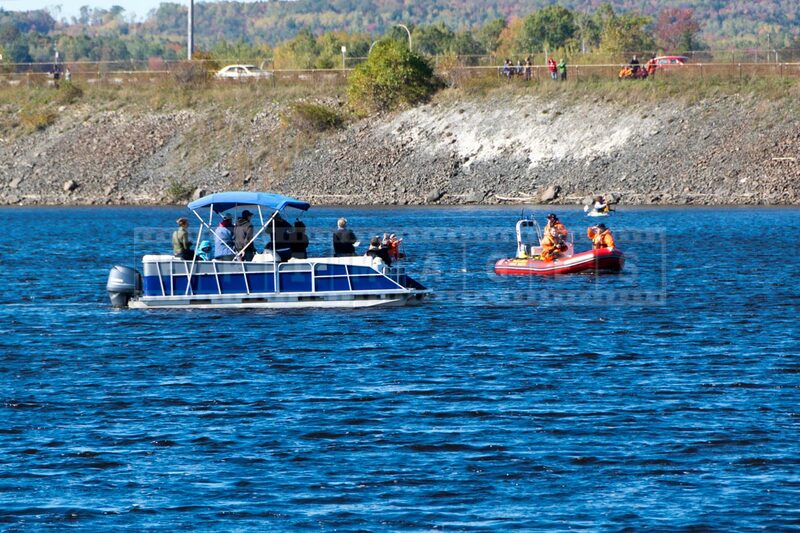 On the left motorized pumpkin boat can be seen.